Vivian Stancil went blind at the age of 19; at the age of 50 her doctor told her that if she wanted to live longer, she would have to start exercising. Even though Stancil didn’t know how to swim, she got into a pool in spite of her blindness. 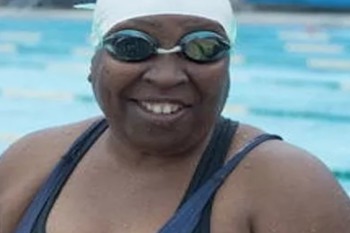 She was morbidly obese when she began learning how to swim since then she has won 220 swimming medals and now runs a foundation that teaches at-risk adults and children how to swim. If you are living with blindness and are in need of assistance, please contact SDCB.